Some people attain celebrity status by virtue of their many years of hard work while others attract it by reason of their close association or relationship with someone who is a celebrity. Also, there are those who simply become celebs at birth. 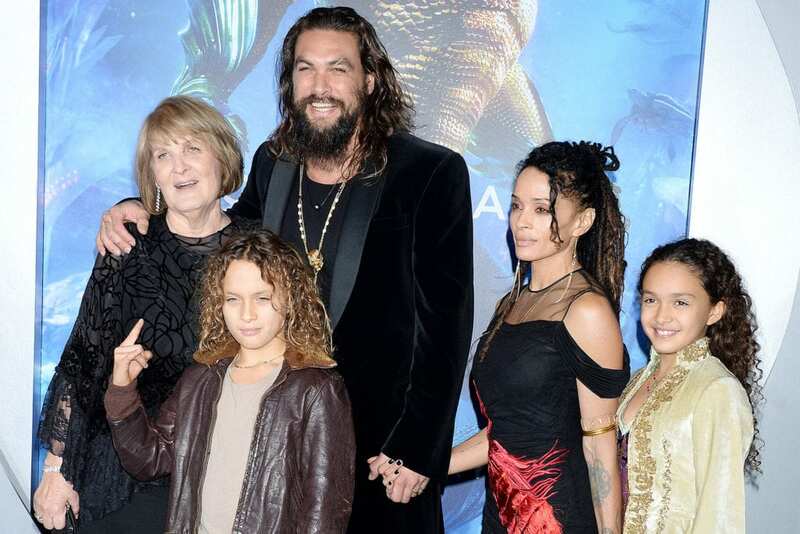 Having two strong forces in Hollywood as parents is no doubt an expressway of making it into the third class of celebrities and this is the case of Nakoa-Wolf Manakauapo Namakaeha Momoa, the cute son of Jason Momoa and Lisa Bonet who has been in the spotlight since his birth. To know more about this adorable boy who is basking in all the attention that comes with being a popular figure, as well as his parents, just read on. Nakoa-Wolf Manakauapo Namakaeha Momoa was born on December 15, 2008, in Los Angeles, California, the United States of America. The second of his parent’s two biological children, he is of African-American/Jewish ancestry from his mother’s side and Native Hawaiian/German, Irish, and Native American descent from his father’s side. Having a Hawaiian root explains why he has such a long name as it is common knowledge that Hawaiians usually bear longer names than Westerners. The outstanding name which has made the little boy even more popular has also left a lot of people wondering if he will ever have enough space to fill it all in, in an official document. Although Nakoa-Wolf’s name is quite a mouthful, it is very special and has an interesting story behind it. According to his mother, he was given the name as a result of the horrible weather conditions that prevailed on the night she gave birth to him. She revealed that the weather became dark and stormy shortly after Nakoa was born and gave the meaning of his name Nakoa Manakauapo as follows: Nakoa – Warrior, Mana – Strength or spirit, Kaua – Rain and Po – Dark. Even though Nakoa-Wolf Manakauapo Namakaeha Momoa is his parents’ second child, he seems to command more paparazzi attention than his sibling and this is largely due to the fact that he inherited his father’s good looks. Just like his dad, the little star also wears long hair. Nakoa-Wolf Manakauapo Namakaeha Momoa is the son of Jason Momoa and Lisa Bonet. His father is a popular American actor known for his roles in the superhero films Batman v Superman: Dawn of Justice (2016), and Justice League (2017). He is also popular for portraying the character of Arthur Curry/Aquaman in the 2018 solo film Aquaman. Some of his television works are Stargate Atlantis (2004–2009), Game of Thrones (2011–2012), and Frontier (2016–present). Apart from acting, Nakoa-Wolf’s father is also a director, writer, and producer with his first movie in these capacities being Road to Paloma (2014) in which he also played the lead role. Jason Momoa, born in 1979 in Nānākuli, Honolulu, Hawaii, is the only child of Coni (nee Lemke) and Joseph Momoa, a photographer and painter respectively. He grew up in Norwalk, Iowa, raised by his mother, and moved on to a college in Iowa after high school to study marine biology major initially but later changed to Colorado State University where he majored in wildlife biology. Before pursuing an acting career, the hunky movie star enjoyed low-level popularity as a model, emerging as Hawaii’s Model of the Year 1999. He also studied pastel painting in France and went to Tibet to study Buddhist teachings. Nakoa-Wolf’s mother, on the other hand, is actress Lisa Bonet. She was born in San Francisco, California, as Lisa Michelle Bonet, on November 16, 1967, but she legally changed her name to Lilakoi Moon in 1995. However, she still goes by Lisa Bonet on the professional scene. Daughter of a music teacher named Arlene (Litman) and an opera singer, Allen Bonet, the actress studied at Birmingham High School, Van Nuys, California, before moving on to study acting at the Celluloid Actor’s Studio in North Hollywood. She was involved in a number of beauty pageants and also made guest appearances on TV series as a child before she eventually landed her most popular role as Denise Huxtable on the sitcom The Cosby Show. Nakoa-Wolf Manakauapo Namakaeha Momoa has one biological sister Lola Iolani Momoa (born on July 23, 2007) and an older step-sister from his mother’s previous relationship, Zoë Isabella (born on December 1, 1988). Before Nakoa’s mother got married to his father, she was involved with rock singer Lenny Kravitz with whom she eloped to Las Vegas on her 20th birthday. Their relationship produced a daughter named Zoë Isabella and in 1993, they went their separate ways. She then met Nakoa’s father in 2005 and they got married in 2007. Behind the camera, Jason Momoa is a wonderful husband to his wife and a caring father to his adorable children and stepdaughter. Nakoa-Wolf Manakauapo Namakaeha Momoa currently lives in Topanga, Los Angeles County, California, with no television and lots of pets.